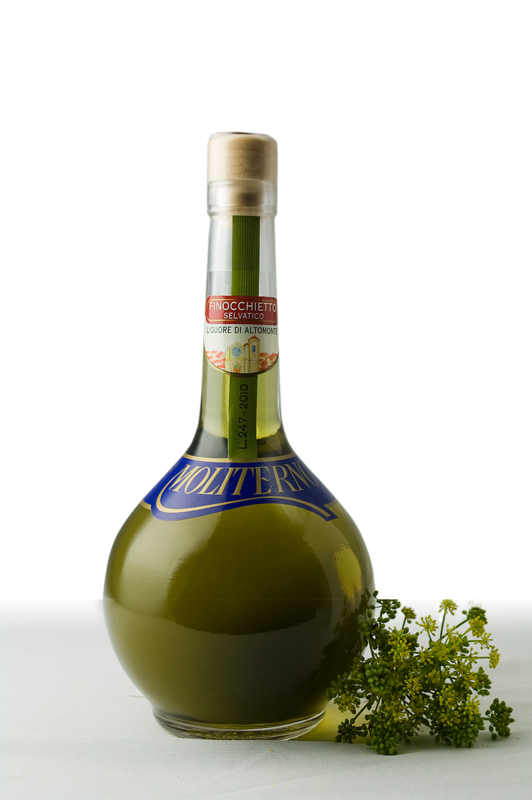 With a fresh and surprising taste, obtained by macerating the tops of wild fennel (Foeniculum vulgare) harvested in our area. It is one of the most used ingredients in pharmacopoeia since ancient times. It is an excellent after-dinner liquor especially after a heavy meal, and is best served cold. Fruity and aromatic, it lends itself in the kitchen to enhance imaginative dishes and for the creation of cocktails and long drinks. It’s also recommended to enhance the flavours of ice cream and fruit salads.